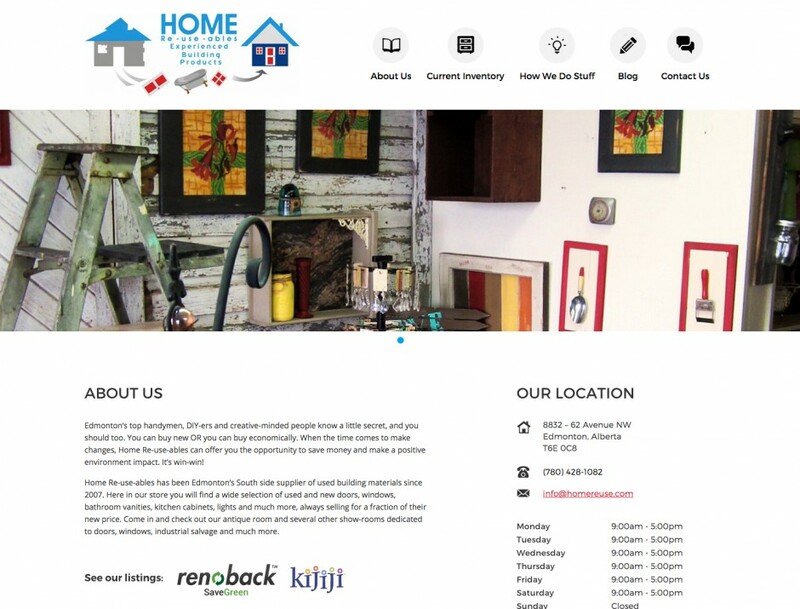 Home Re-use-ables has been Edmonton’s South side supplier of used building materials since 2007. 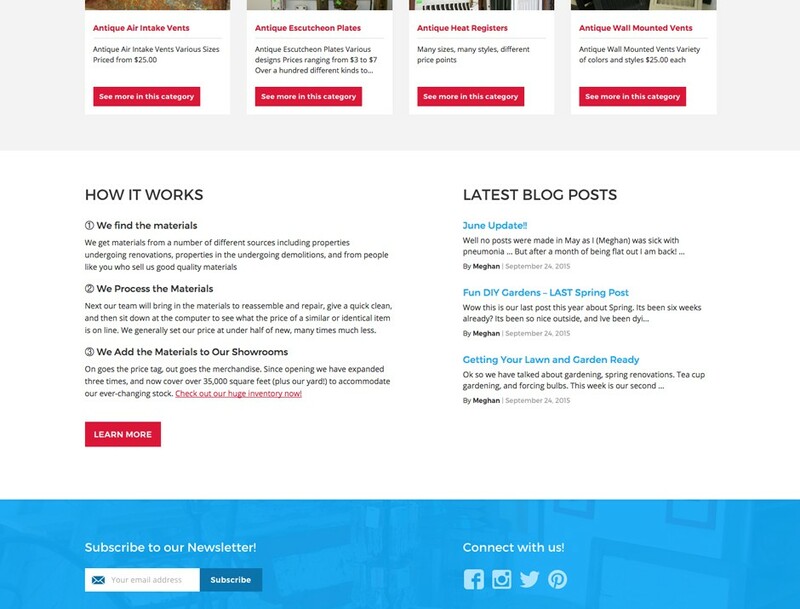 Project Summary: We designed and built a custom responsive WordPress website that would allow Home Re-use-ables to showcase their available products, provide their customers with valuable information about their location and their process, and share home & garden renovation ideas via their blog. 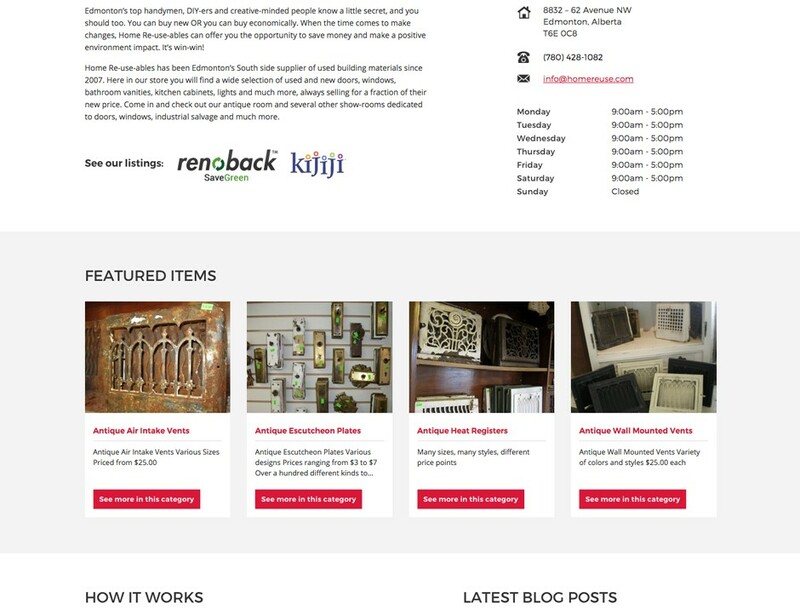 The WordPress content management system allows them to easily add and remove inventory items as they come and go, and featured items can be showcased on the home page. 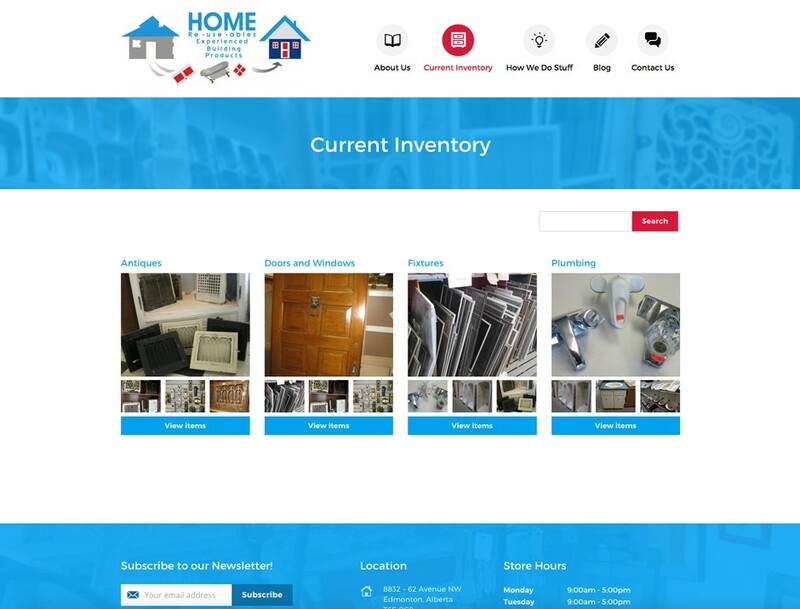 Customers can browse inventory items by category or use the search tool to easily find exactly what they’re looking for. 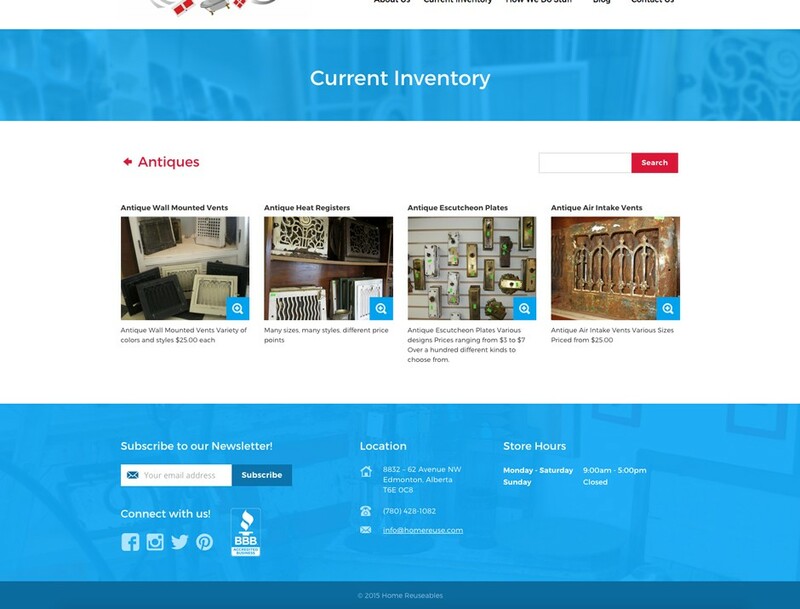 The site is responsive so it looks great and works perfectly on any device.